Elevated preoperative serum C-reactive protein (CRP) levels are reportedly associated with a poor prognosis for patients with various types of malignant tumors. However, the impact of postoperative CRP levels on the prognosis of patients with esophageal cancer remains unknown. The present study aims to clarify the prognostic significance of postoperative CRP levels on the survival of patients with esophageal cancer. We reviewed the records of consecutive 202 patients with thoracic esophageal squamous cell carcinoma who underwent transthoracic esophagectomy. 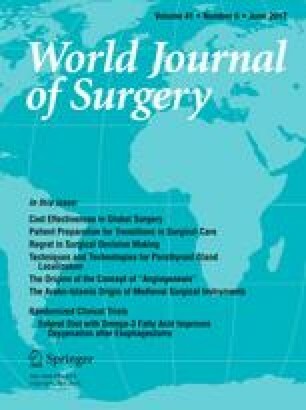 We measured serum CRP levels on postoperative days (PODs) 1, 2, 3, 5 and 7 and evaluated the relationships between postoperative CRP levels and survival. The findings of Cox regression analyses suggested that elevated CRP levels on POD 3, 5 and 7 were associated with poor recurrence-free survival (RFS). We divided CRP levels on POD 7 into three tertiles and found that RFS could be clearly stratified, being the poorest (p < 0.001) in the highest tertile (high CRP). The trend was similar even in patients with or without infectious complications and with or without advanced pathological stage. Multivariate analysis showed that pathologically advanced stage (Hazard ratio [HR], 5.14; 95% confidence interval [CI] 2.67–9.87; p < 0.001) and high CRP (HR, 2.27; 95% CI 1.3–3.96; p = 0.004) were independent predictors of RFS. Postoperative CRP levels could predict the prognosis of patients with esophageal cancer. We propose that the clinical course of postoperative CRP level should be carefully monitored as a predictor of survival.